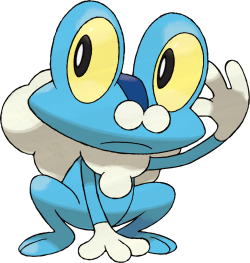 With the new upcoming Pokemon video games some new Pokemon have been added to the Pokemon world. 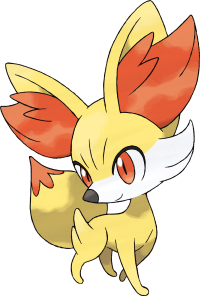 This includes a brand new Eevee evolution named Ninfia (ニンフィア). 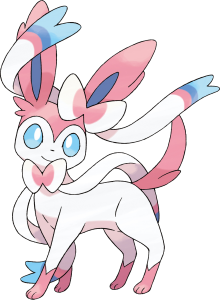 This Pokemon's US name is Sylveon. 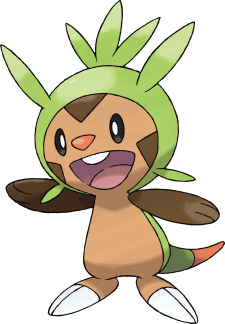 Speculation about the type of Pokemon the new eevee evolution will be seems to lean towards it being a light type Pokemon. Until more information comes out based on Sylveon we are still in the dark. 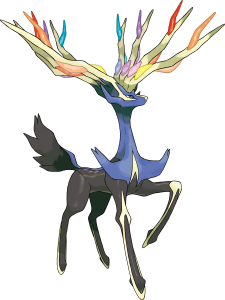 The legendary Pokemon Xerneas reminds me of the spirit of the forest from princess mononoke surprisingly but these new legendary Pokemon seem pretty well designed and look like they will be popular in the new game. I would imagine we can expect a new Pokemon cards expansion released based on these brand new Pokemon X & Y for the trading card game. 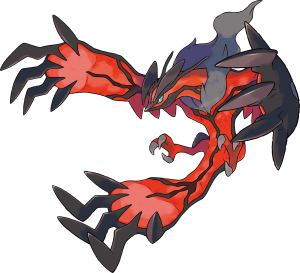 I can't wait to see the new art designs which go along with them and how they plan to design the background art for each of the new Pokemon cards of this future expansion. But for now all we can do is speculate since we only have so much information on the new game. Hopefully we will find out more as the game is released in Japan.